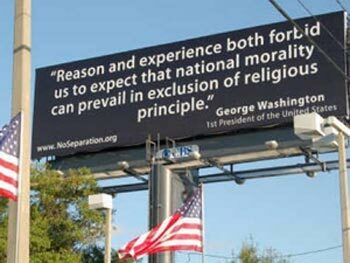 You’ve undoubtedly seen them by now: several black billboards throughout the Tampa Bay area with supposed Christian-friendly quotes from our country’s founding fathers. “Supposed” is the key word here. As Michael Hussey of Pushing Rope reports, these propagandists can’t prove the nation’s architects even said them. Read the story here.